We hope the information that follows will help you to choose us as a destination for your group. We want to help your group truly enjoy everything we have to offer. Get ”the inside story” on our many exhibits with a Guided Tour from our tour guides and historians. Enhance your visit with a Hands-on Activity or a short course in our Flight Simulator Lab at the Soar High Center. Our Guided Tours are for all ages from pre-K to Senior Citizens. Hands-on Activities are primarily designed for our student groups to enrich their learning experience. The Flight Simulator Lab in our Soar High Center is a great opportunity for School and Scout groups (2nd grade and above) to get a taste of what it takes to fly a virtual aircraft. Adult groups are always welcome to try out their flying skills on our Flight Sims. Is your group up for the challenge? 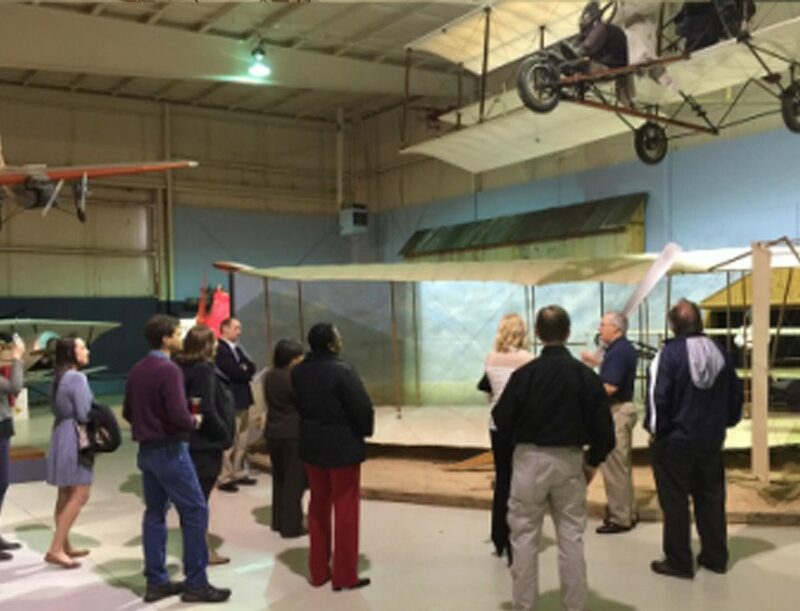 Other groups are always welcome to take a Guided Tour, add a Hands-on Activity or a Flight Simulator Lab. We can tailor a tour to your specific interests from Black History to Carrier Aviation, World War I to the Cold War. 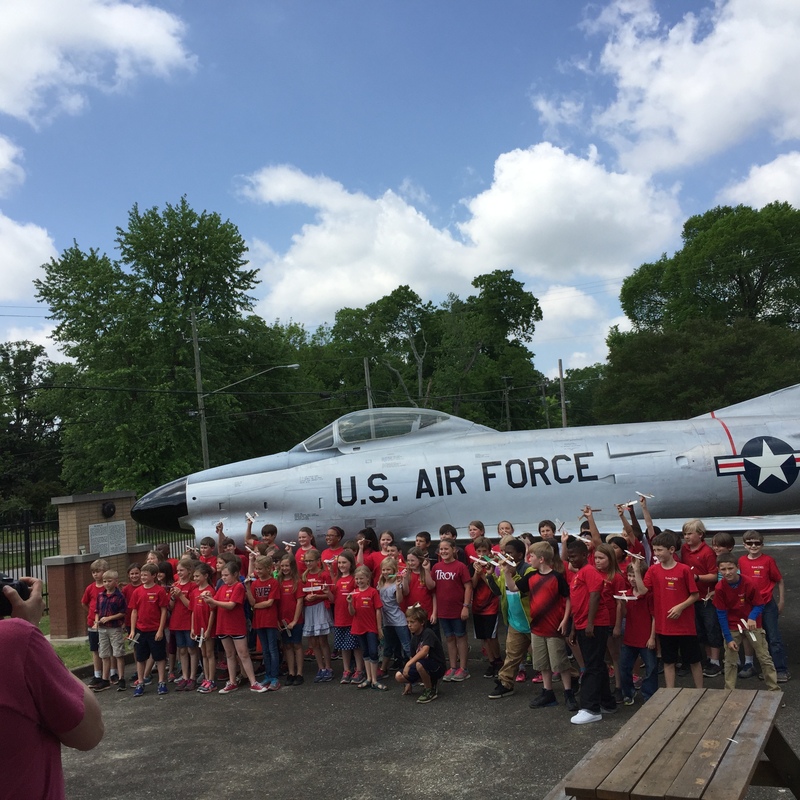 Call us and we can discuss your ideas to maximize the fun and interaction of your visit. .
We offer Pre-K through 12th Grade Guided Tours, Hands On Activities and a Flight Simulation Lab to bring Aviation “up close and personal” to your students. Look through the information below, find your subject or related area of study and choose your tour. All tours are based on ACOS Correlated Standards. 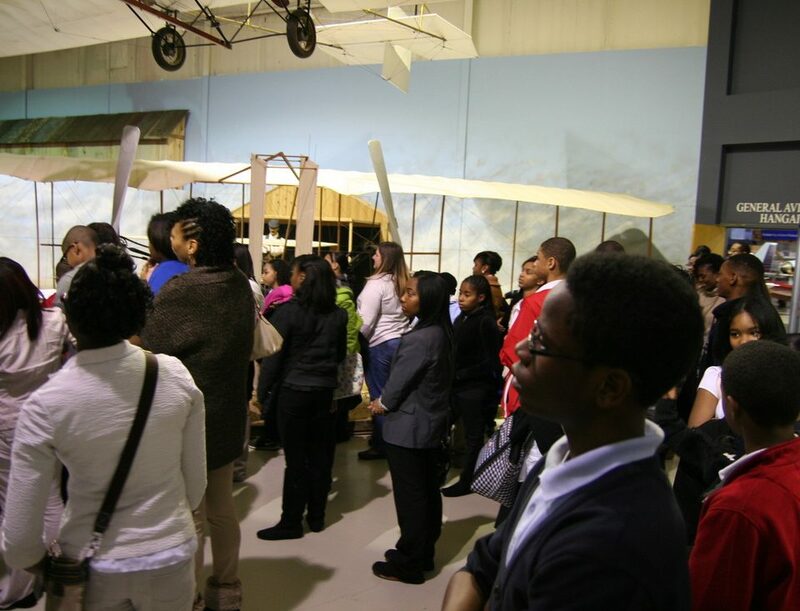 Pioneers of Flight Overcoming Obstacles: Tuskegee Airmen, Wright Brothers and more. Learn how courageous Pioneers in Aviation not only overcame Gravity, but many other challenges in their quest to fly. 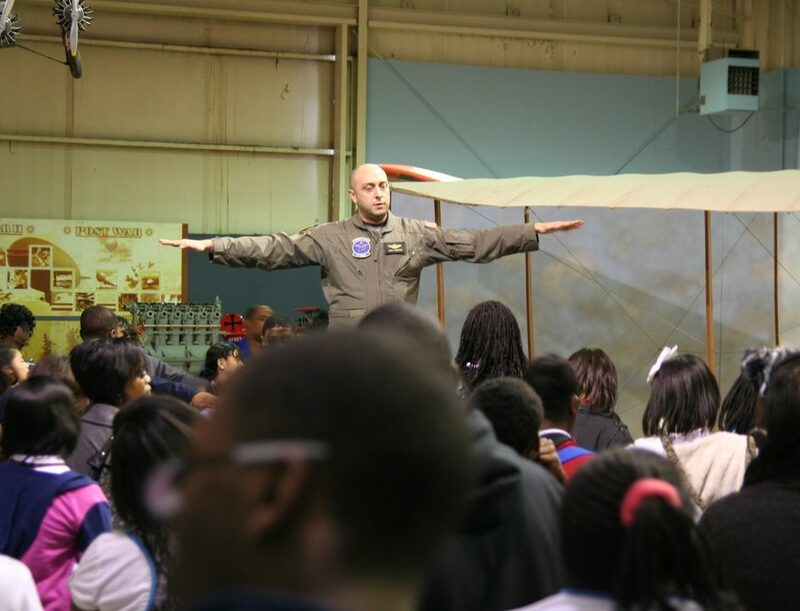 Your students will hear the stories of several noted Aviation Pioneers who made history despite challenges, obstacles, barriers and other social hardships. People Places and Events in the U.S. and World History: WWI, WWII, Korea, Vietnam and more. 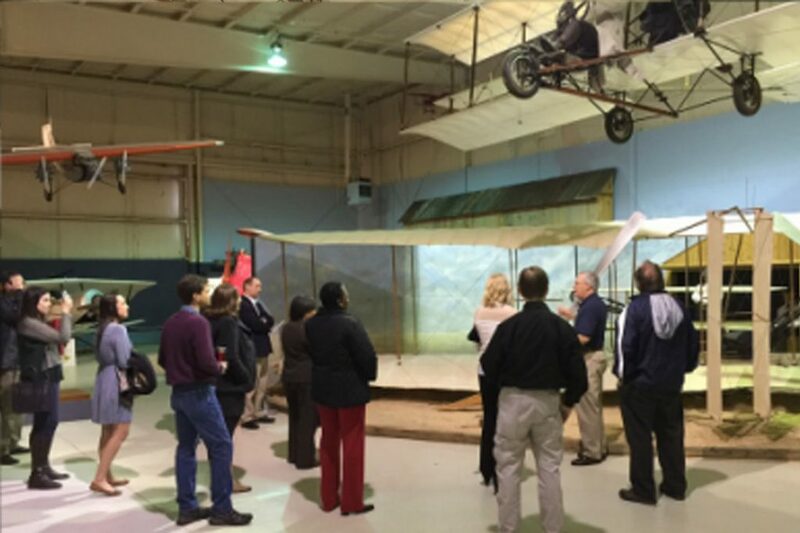 Events in our country’s history are tied to the rich aviation story of Alabama and those who made it happen. Learn about the Local Heroes who were a part of history from the skies over Europe to low-level flight through the jungle treetops of Southeast Asia. 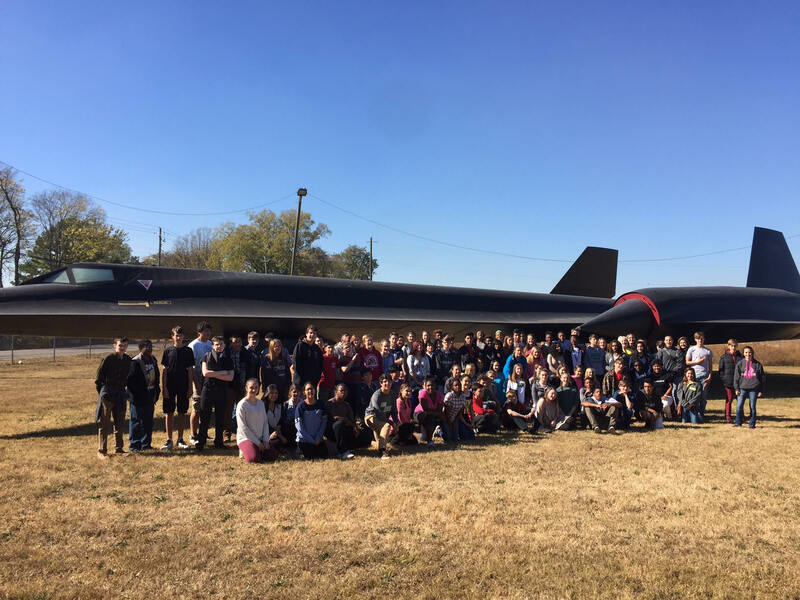 Alabama History: Learn about Alabamians who made contributions in the field of science, education, technology, arts, and military through aviation during the twentieth century. 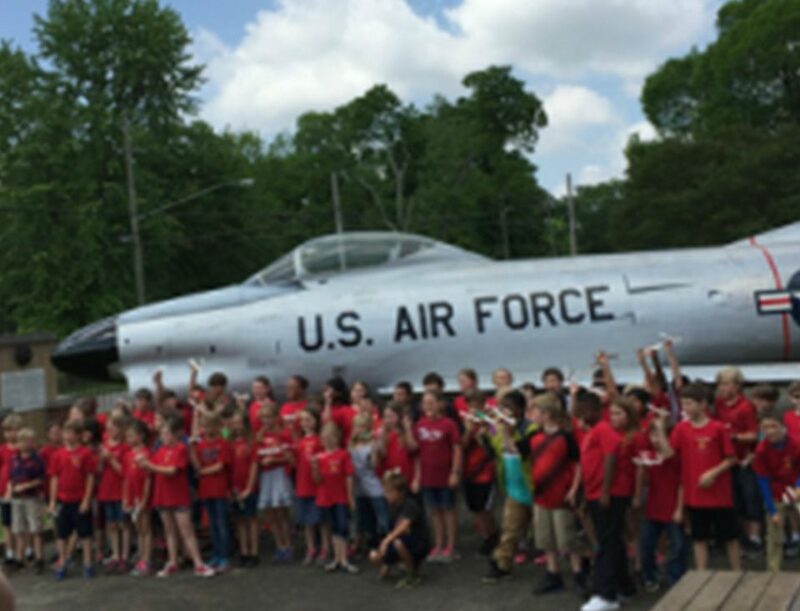 Your students will hear the stories and follow Alabamians political, economic, aviation and military successes. Tour can be adapted for your specific needs. Forces of Flight and Laws of Motion: Newton’s Laws, lift, weight, thrust and drag. Your students will see real life applications of these fundamental properties of aerodynamics and physics. Our Aviation experts will explain them in a way that makes sense to classes of any age group. Phenomenal Weather: Students will learn principles of weather, recognize conditions along frontal systems, and read basic weather maps. We will discuss weather preparedness for tornadoes, hurricanes, and other weather phenomena. Math for Flight: Pilots, Aircrew and Mechanics need a solid foundation in Mathematics to perform their duties. 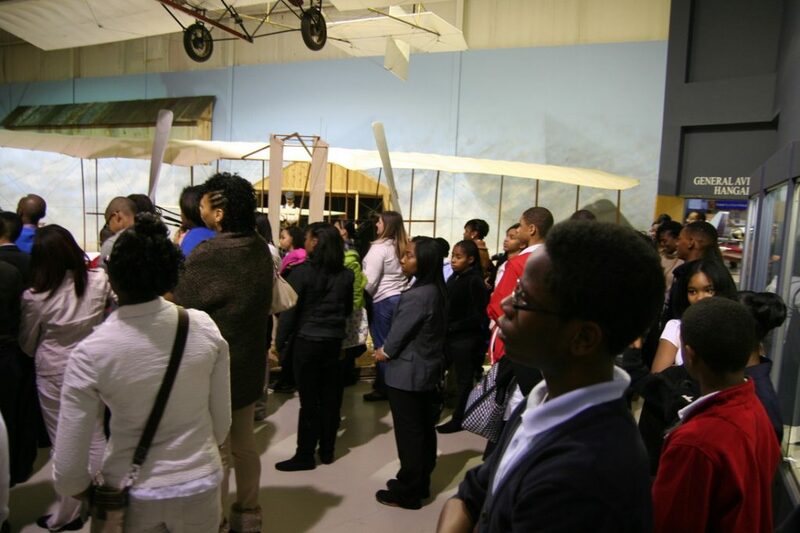 This Guided Tour will emphasize Mathematics concepts as they relate to Aviation, as well as reinforce to your students the importance of Mathematics for success in Aviation or any field. Navigation for Flight: Whether you are flying, fixing or designing an aircraft, you have to read and understand checklists, technical manuals and flying regulations. We will emphasize the importance of language and visual arts skills as they relate to success in aviation or any field. This tour allows prepared educators to guide their students through the museum galleries independently. These tours can take place anytime the museum is open, including weekends. All standard rules apply, specifically the one adult per every 10 students. 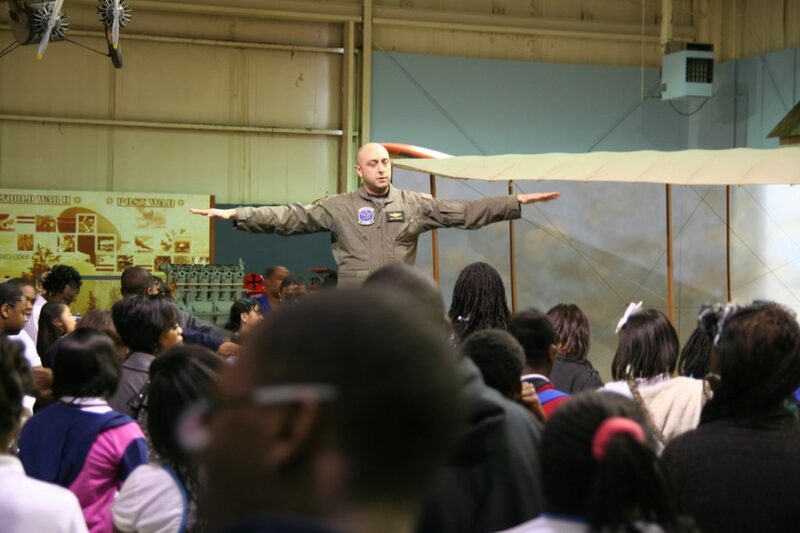 Students will build a glider or paper airplanes in our experimental aviation hangar classroom and adjust the aircraft’s flight characteristics based on aerodynamic principles discuss during construction. 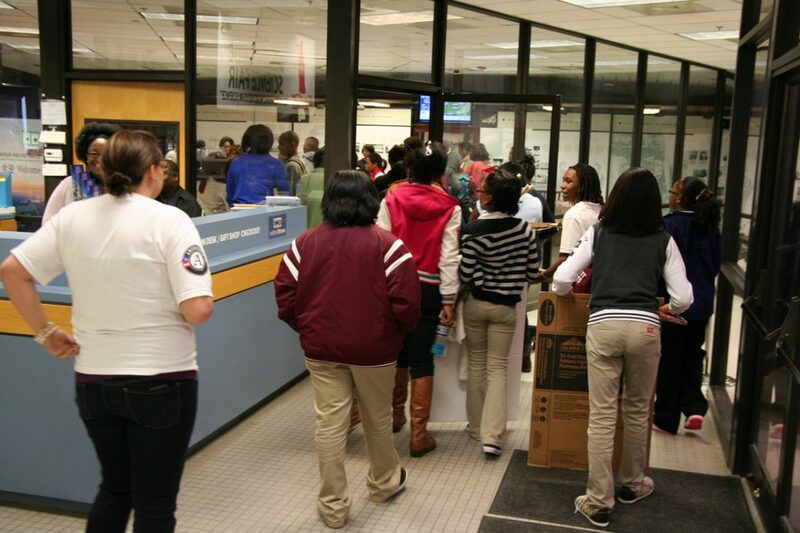 Students will build a functioning weather instrument, which they can test on existing or simulated conditions. Make and record observations and give a forecast based on weather principles discussed during construction. 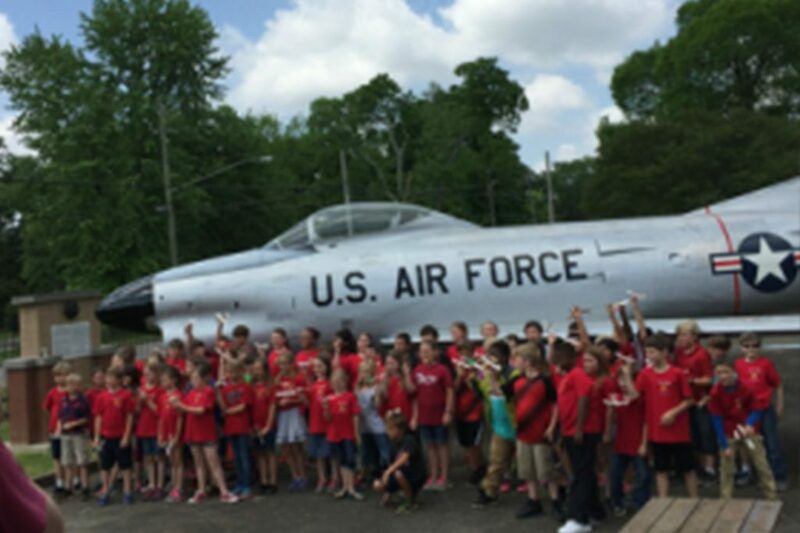 Students will learn about the basics elements, principles of art and the scientific significance of aircraft and airfoil designs. 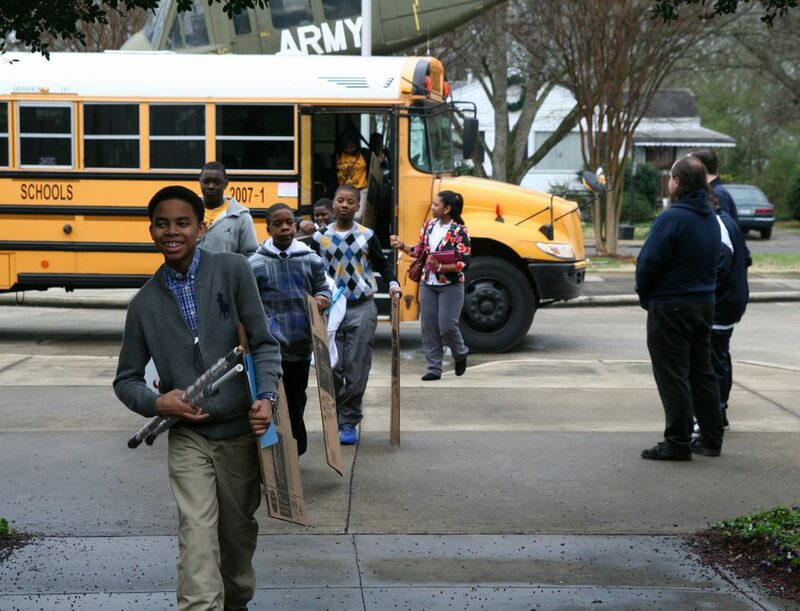 Students will draw a 3-D airplane combining basic 3-D design by utilizing proportions and focusing on perspective. Students will learn to identify characteristics of abstract art including lines, shapes and space. They will identify the function of a compass rose on a map and create an abstract collage using a compass rose as the central theme. 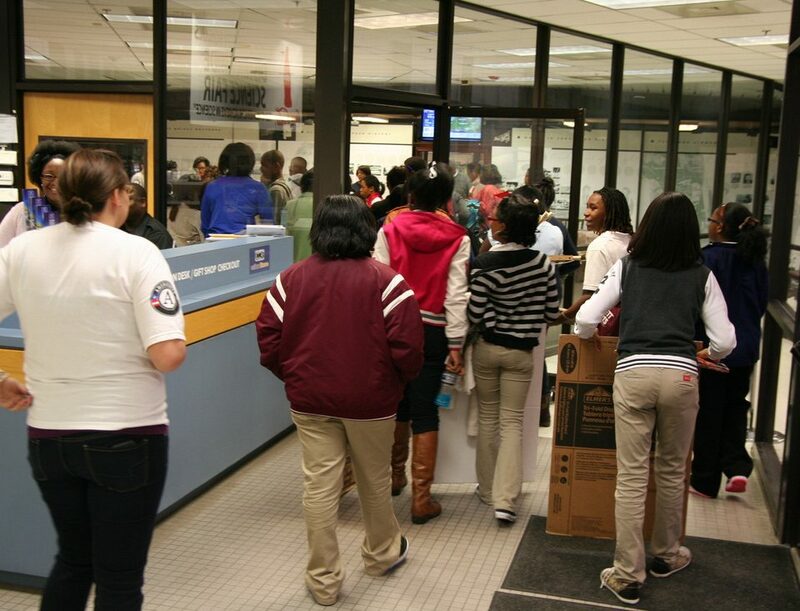 Teachers, divide your class into small teams and send them out on a “mission” to locate information from the exhibits, which keeps them engaged and gives them a chance to visit the Museum on their own terms. 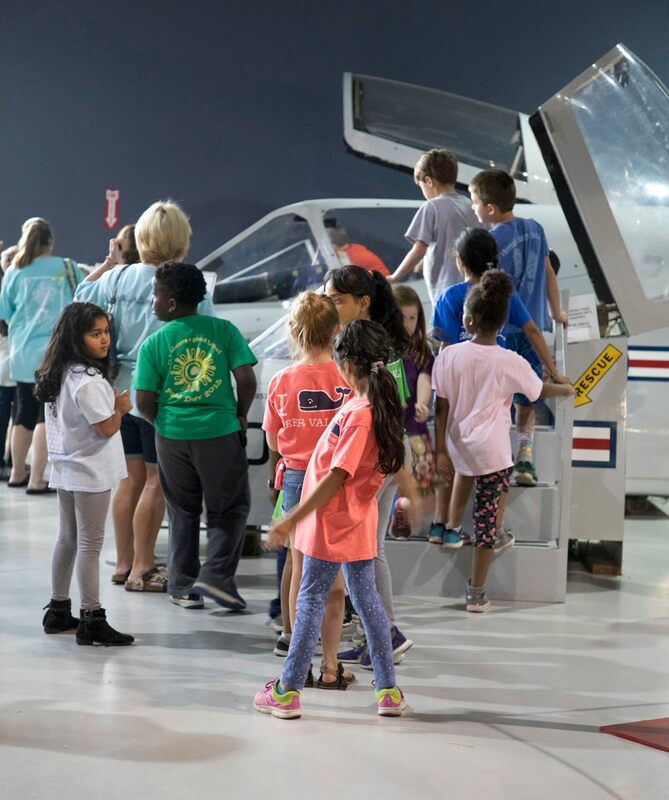 (Grades 2nd- 12th, add $7 per person, allow an hour and a half in addition to the tour) A class in the Soar High Center, Flight Simulator Lab, is a great opportunity for students to experience the challenges of learning to fly on our Flight Simulators. Our flight instructors are not only great “Virtual” pilots, several have also instructed both military and civilian flight students in real life. They will take your students through ground school: Principles of Flight, Map Reading, Cockpit Instrumentation, Preflight Briefings and a simulated flight to a local airport. Lab can accommodate 15 flight crews (30 students). How to Book You “Flight”! One chaperone for every ten students. Extra chaperones pay the student price. The Museum can accommodate a minimum of 10 students per booking. 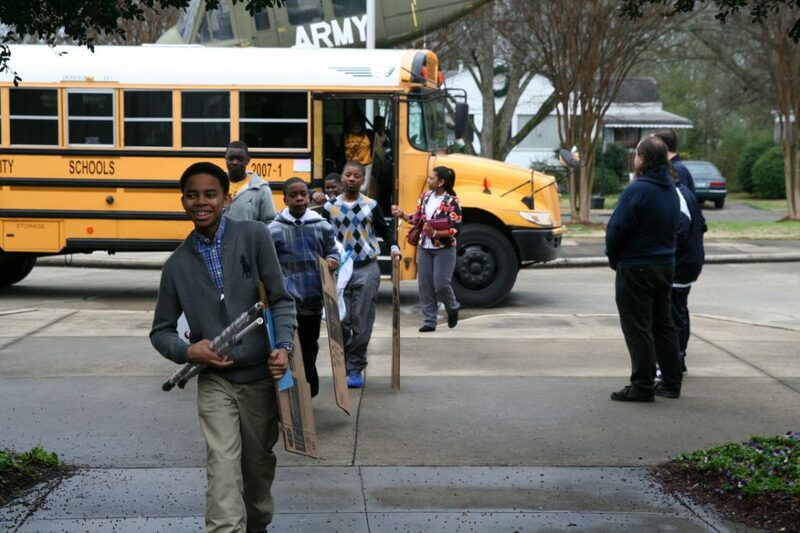 If you have more than 150 students, please call the museum to reserve your tour. First, choose your Guided Tour, consider adding a Hands-On Activity or the Flight Simulator Lab in our Soar High Center. Second, fill out and submit your tour date request in the form on the right of this page. 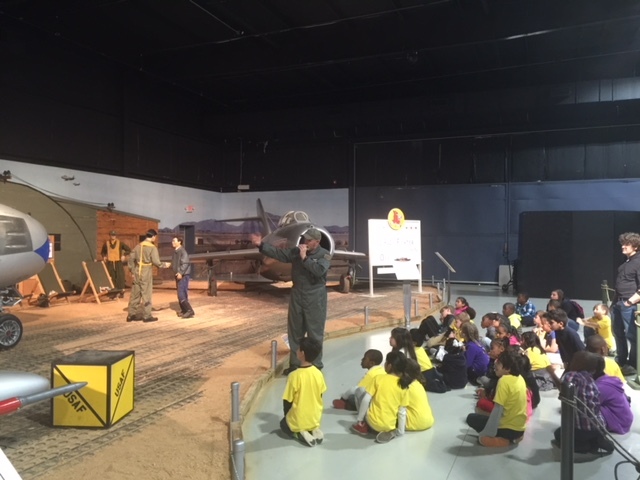 Teachers, the Southern Museum of Flight has great facilities for your students to eat their Brown Bag lunch both indoors and outdoors, weather permitting. This is a nice option if you decide to add a Flight Simulator Lab to your Guided Tour or if you simply want to spend a bit more time in our museum. Call us at 833-8226 or email Melissa.Morgan@birminghamal.gov for more information.